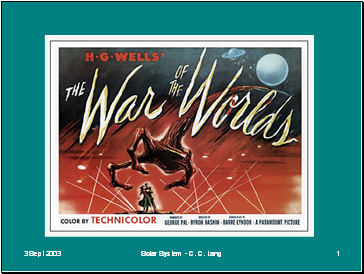 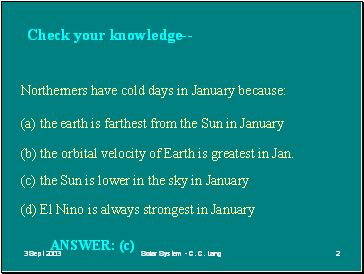 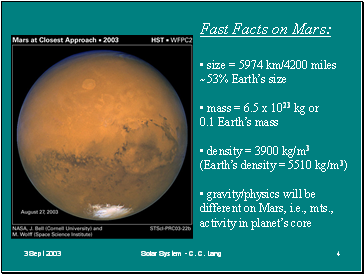 (b) the orbital velocity of Earth is greatest in Jan.
Changes in surface coloring: thought once to be vegetation!! 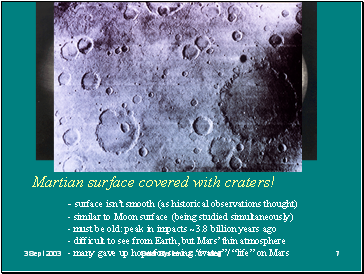 Martian surface covered with craters! 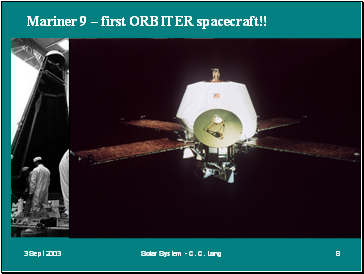 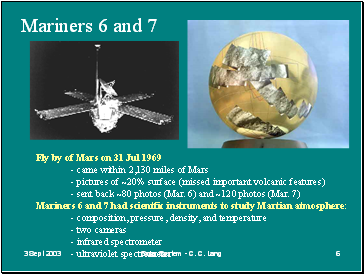 Mariner 9 – first ORBITER spacecraft!! 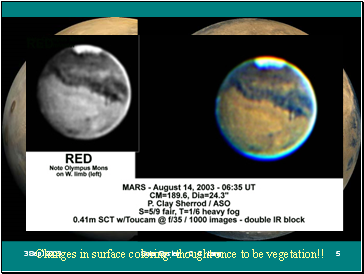 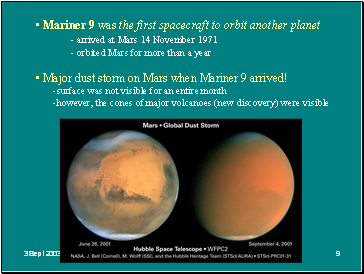 Major dust storm on Mars when Mariner 9 arrived! 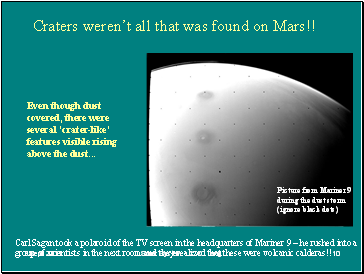 Craters weren’t all that was found on Mars!! 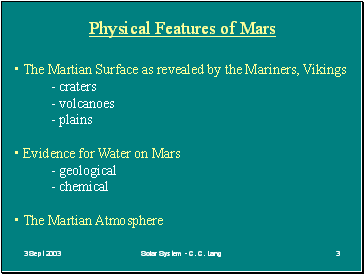 Olympus Mons – largest volcano in S.S.